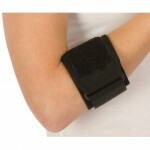 Suffering from tennis elbow or golfers elbow? 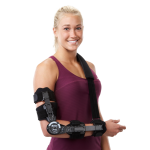 Recovering from an elbow surgery? 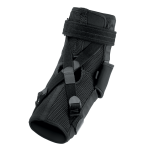 Highland Orthopedic Supply carries a large selection of elbow braces, supports, and therapy items to offer stability and aid in your recovery. 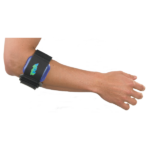 From rigid post-op elbow braces to elbow bands, from cold therapy to muscle stimulation therapy, we have a product to fit your needs. We offer products from industry leaders like Breg, DeRoyal, and Medi-Stim. We have conveniently included the HCPCS code under the picture of the product for you to use for reimbursement from your insurance company. You will also need a prescription from your physician as well as the code that we provide in order to be reimbursed. Need help finding the right product? Call us at 1-800-583-3771. We will be happy to help you decide.